Winter food preparation can be a challenge in attempting to serve something fresh and raw with every meal. I have a greater sense of vitality when I manage to eat that way on a regular basis. To achieve that, I take a lesson from the Moroccan cooks. In Moroccan winters you find an abundance of huge sweet oranges. Lesson: Eat what you can get your hands on and make it magical. In the San Joaquin Valley, at the base of the Sierra Nevada in central California, growing conditions closely resemble those of coastal Morocco. For decades we have enjoyed the mountains of citrus here in California: oranges, limes, lemons, and now pomelos. 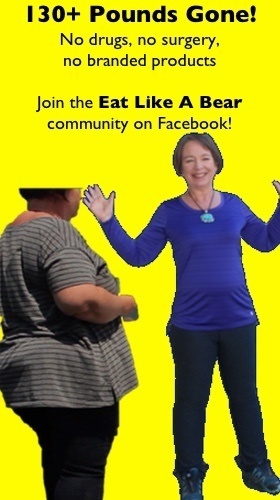 We have had slices, wedges, juice, pies, cookies, and cakes. 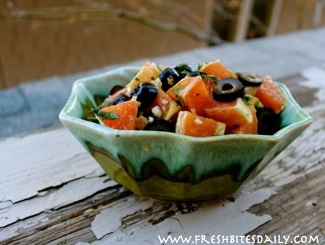 Until recently we had not made the transitions to using citrus as the main ingredient in a salad. It is too bad because we have missed some exciting winter eating. 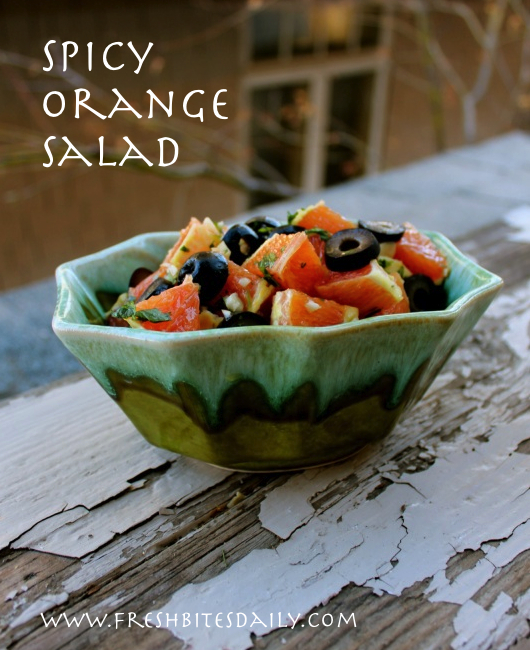 I was inspired to add orange as a salad last week as I was cooking a Moroccan-inspired beef dish and wanted something fresh to serve along with a grain side dish. A picture of an orange salad caught my eye but the ingredients looked far too bland. Then I was struck with the thought of using a much more robust approach to this dish. What about adding garlic and hot pepper? What about freshly ground black pepper? My taste buds began to respond. When the meal was finally served – along with the citrus salad – we marveled at how wonderfully the flavors and textures complemented one another. Besides being beautiful, the citrus salad is a palate cleanser, keeping the beef and grain from seeming too heavy. I held a little salad back to see how long we could keep it in the refrigerator. The next day it was pleasant but needed to be returned to room temperature to be most enjoyable. The following day the orange had turned somewhat bitter. This salad is at prime when served fresh. Closely peel the oranges, removing all the white membrane you can. 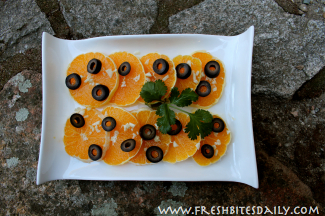 For serving as orange rounds, spread the orange slices attractively on a large serving platter. You will probably have to overlap them a bit. Your aim is to be able to serve yourself two or three orange slices in one swoop. Mince the jalepeno pepper and garlic together. Pick the leaves off half the cilantro and mince with the garlic and pepper. Measure the olive oil into a cup and add the minced mixture. Add salt and pepper to taste. Consider 3/4 teaspoon sea salt and 1/2 teaspoon freshly ground black pepper. Stir up this dressing to blend well and then drizzle it over the orange slices. For orange pieces (as in the main photo), combine the ingredients in a bowl and mix them gently. Sprinkle on the black olives and garnish with the remainder of the cilantro. Serve at room temperature. This is a critical factor to the salad being effective.